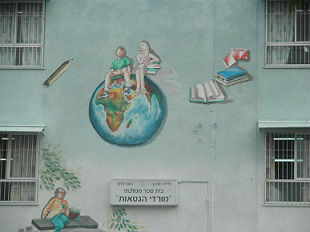 Global Entrepreneurship Week took place in Israel between November 14-20, 2011. 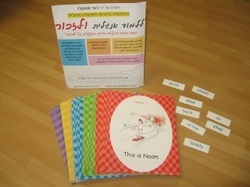 The week was celebrated at the following schools, in partnership with the Entrepreneurship for Kids Program: Kaplan in Petah Tikva, Mordei HaGeta'ot in Ramat Gan and HaIrisim in Karmiel. 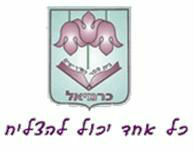 During this week, the Entrepreneurship for Kids Program was launched at the Kaplan school in Petah Tikva. Kaplan school 6th-grade students took part in the first meeting from the program's series. The meeting exposed them to the module: Who is an entrepreneur? All students took part in an Entrepreneurial Event. The students made signs and decorations in class and hung them around the school to celebrate Global Entrepreneurship Week. Students had many opinions on the topic, but they all agreed that an entrepreneur needs to be action-oriented, and makes ideas a reality. When the students were asked, who wants to be an entrepreneur? Many hands were raised. Israeli guest entrepreneurs visited the school in collaboration with the Entrepreneurship for Kids Program to speak about their entrepreneurial experience and involve the children in entrepreneurial activities. Here is a film produced at the end of the event at Kaplan school. 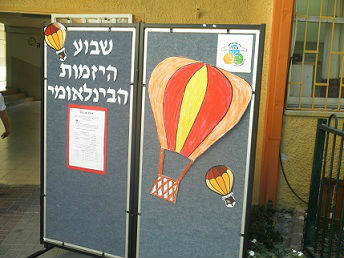 Global Entrepreneurship Week 2011 was chosen as the best time to launch the Entrepreneurship for Kids Program at Mordei HaGeta'ot. During the week, students from three 4th grade classes attended the first meeting of the program's series, the modue of which was Who is an entrepreneur? We want to thank you for today's meetings. The students really enjoyed it. Good job on this great work. Later in the week, all 4th graders took part in more meetings from the Entrepreneurship for Kids Program, so they could get an idea of the program before applying to take part in the full program. At the end of three sessions response was particularly high, but only 17 students were selected to participate in this enhanced program. Attached is a summary of module 1 - Who is an entrepreneur? 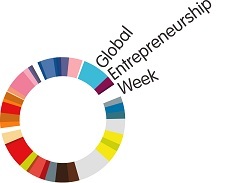 Following the success of the three meetings held last year, Ronni Shtekler, an English teacher, decided to continue and expose her students to the entrepreneurial world during Global Entrepreneurship Week. Ronni selected one topic to teach the children. The module she selected was Anyone can be an entrepreneur, a lesson that emphasized the children's abilities, and showed them that even abilities that seem meaningless at this point in their lives may give them an advantage as entrepreneurs. During this lesson, the students learn about different skills that entrepreneurs have, such as positive thinking and taking advantage of opportunities. Through improvisation exercises, the children express these skills. The topic of entrepreneurship is important to Ronni Shteckler as she has founded her own business, an English teaching kit with a focus on students with learning disabilities: Learn English and Remember. It was successful. The kids enjoyed it, and so did I. Good job and thank you.